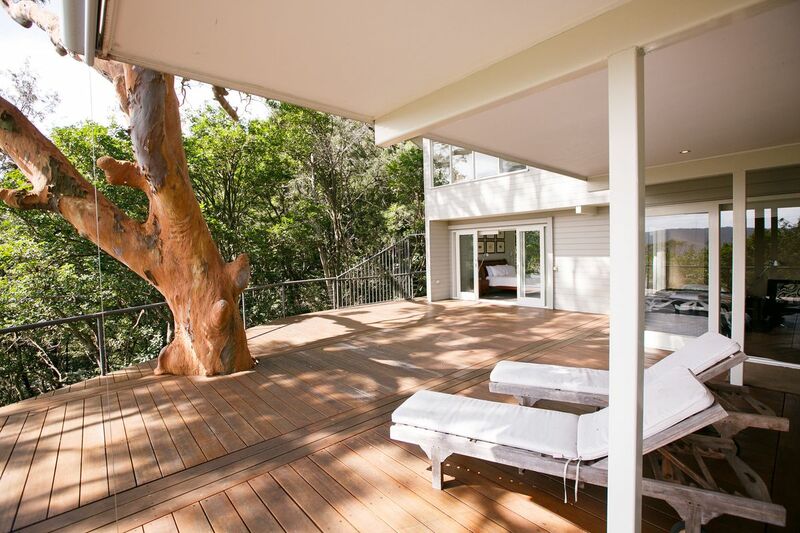 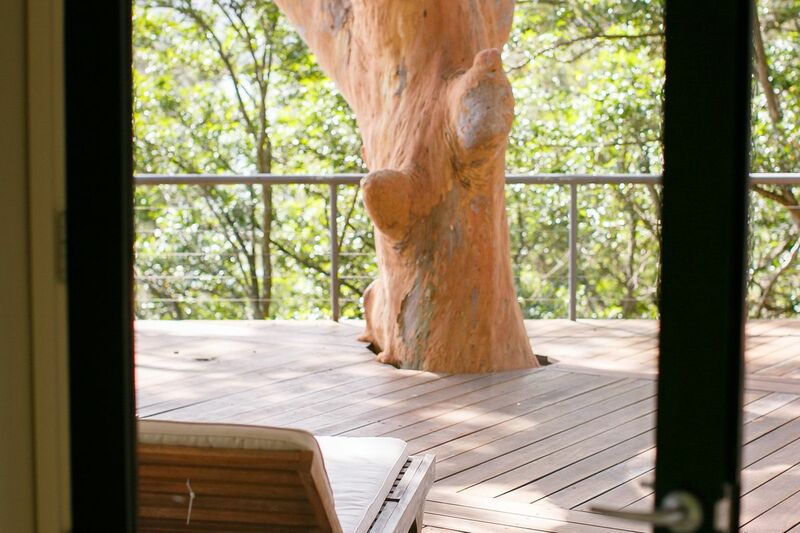 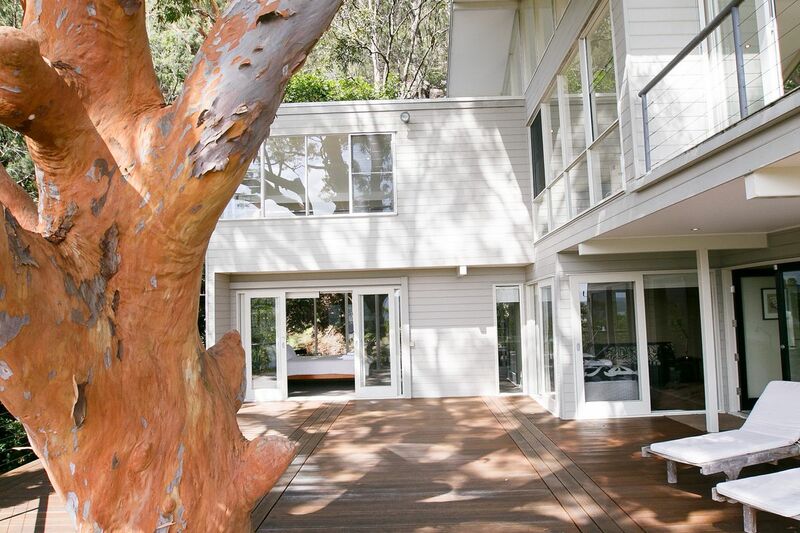 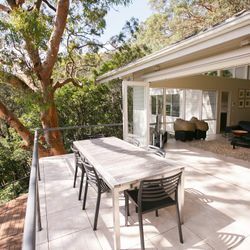 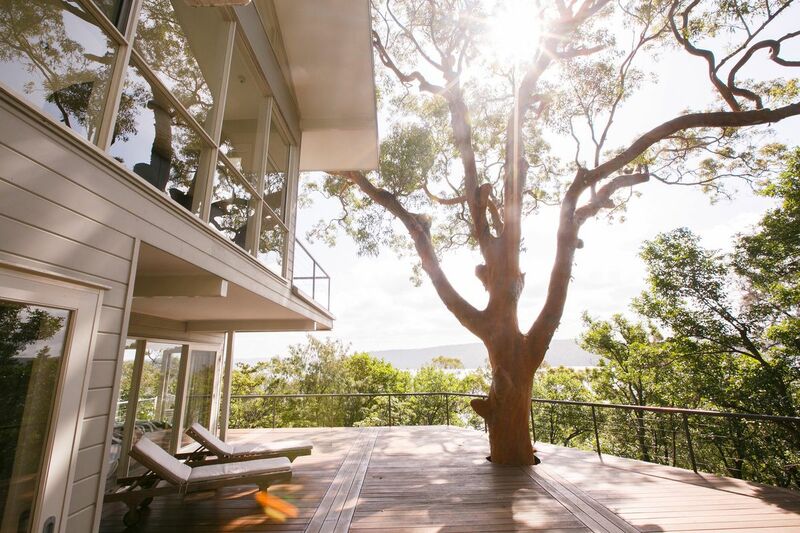 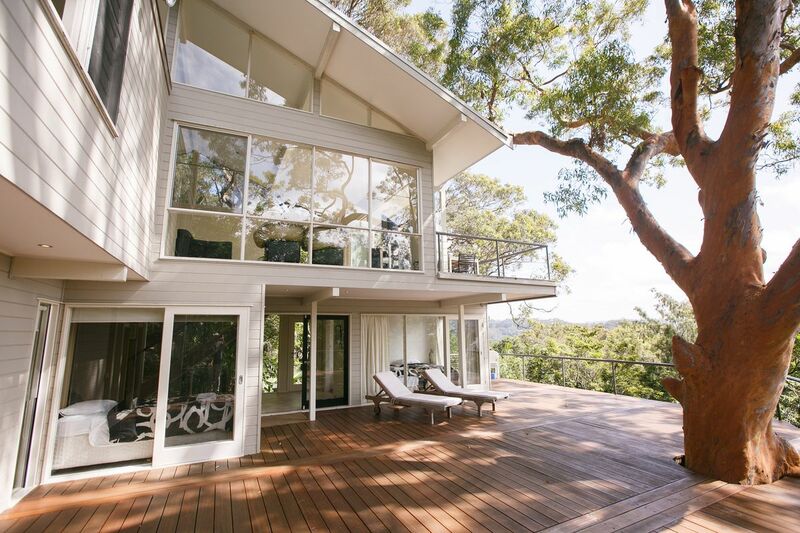 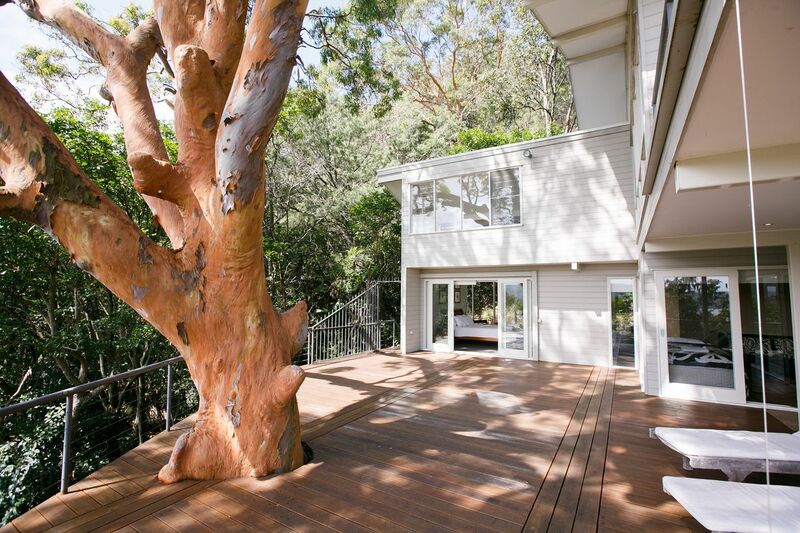 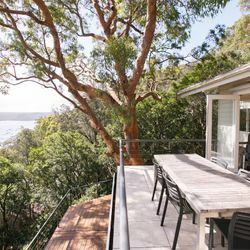 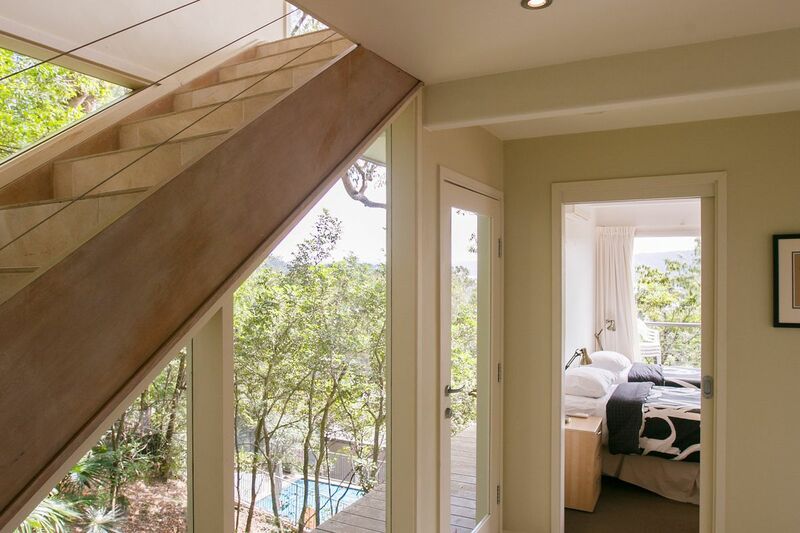 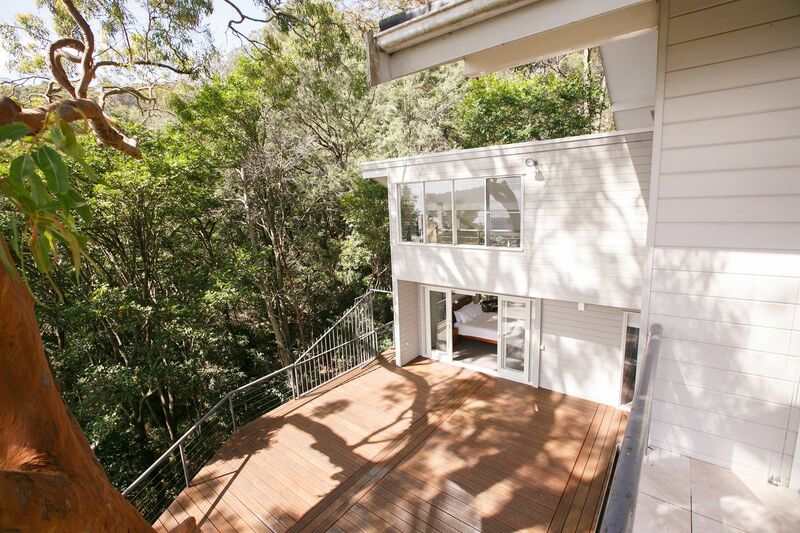 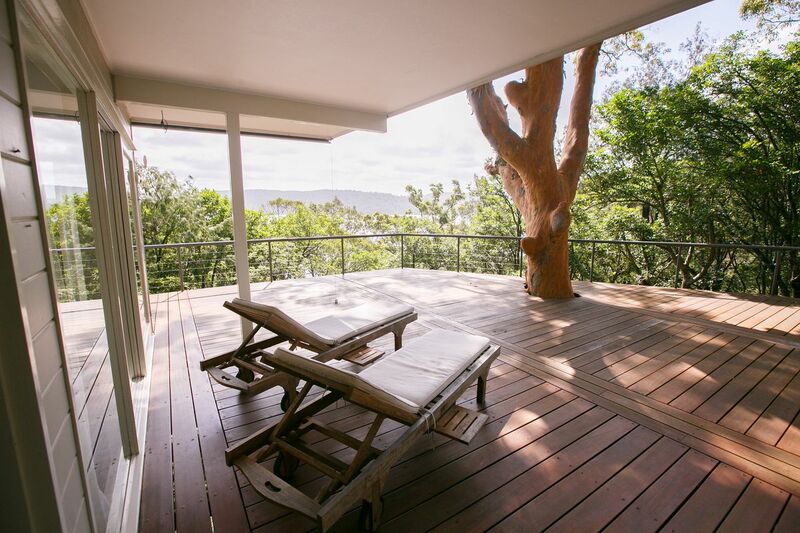 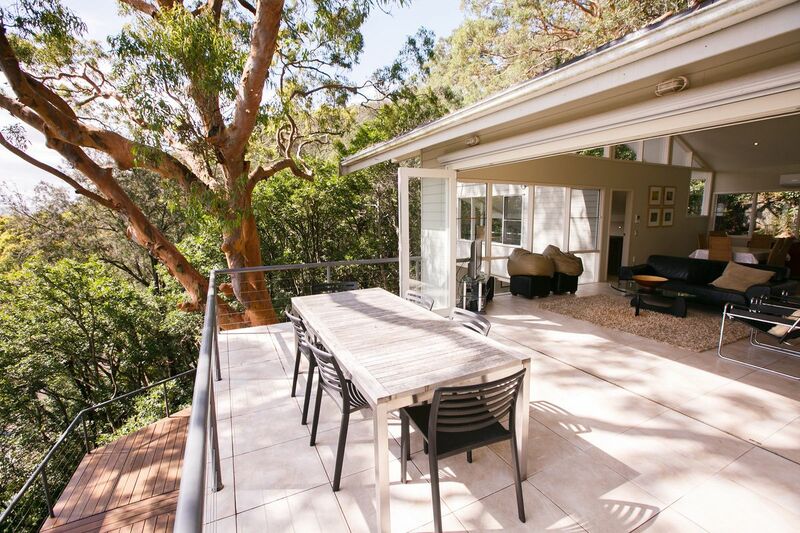 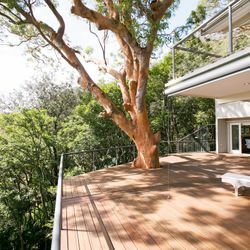 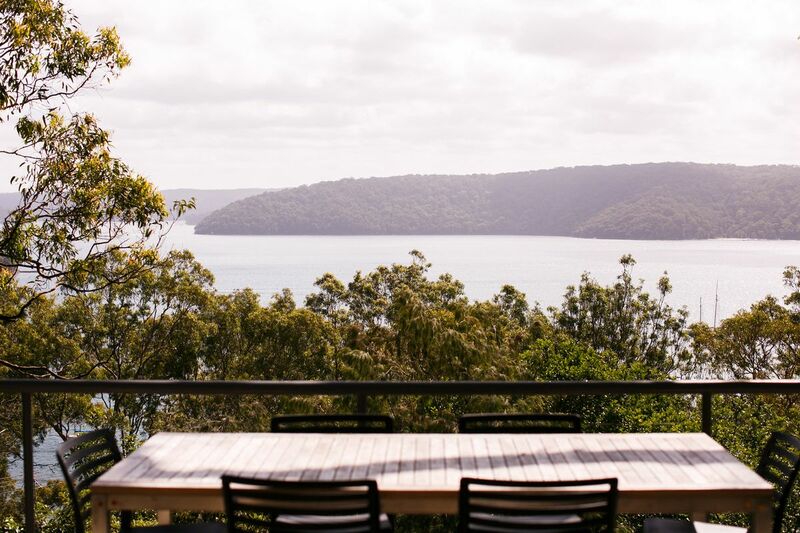 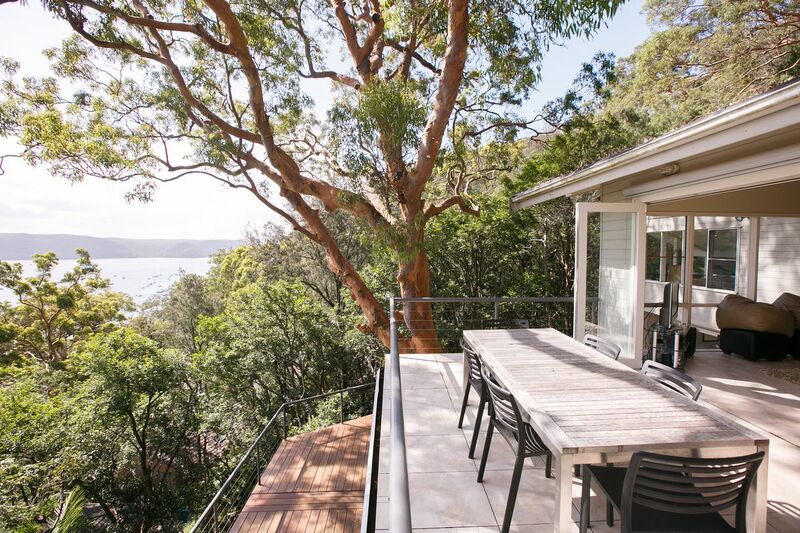 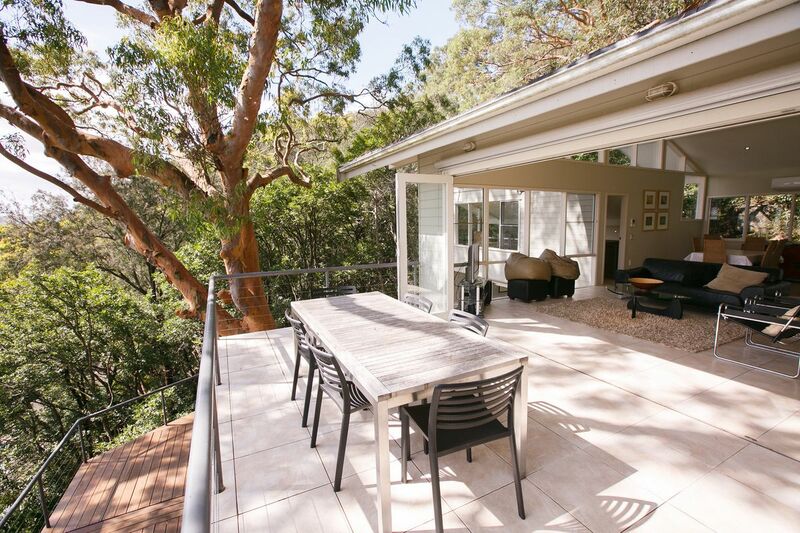 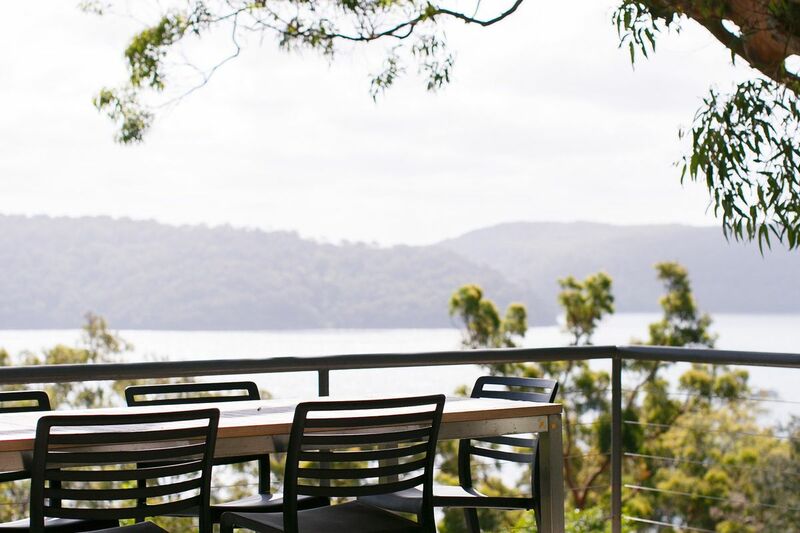 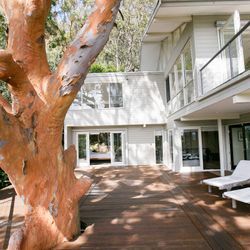 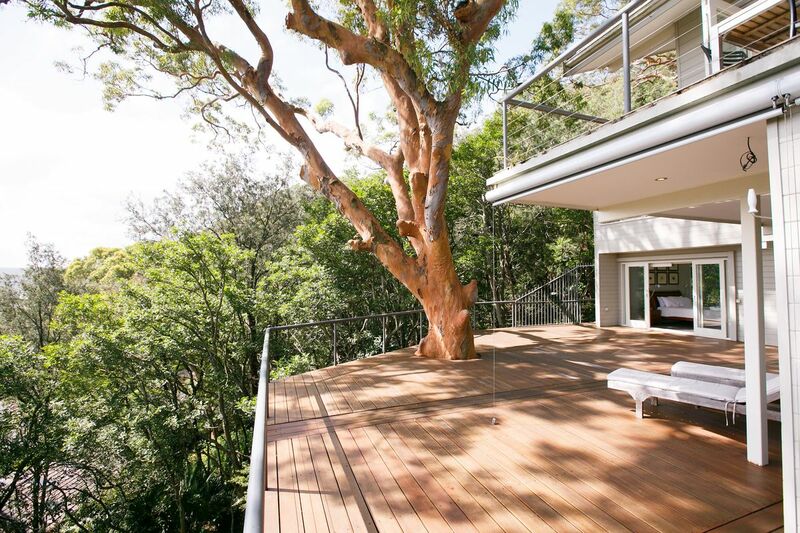 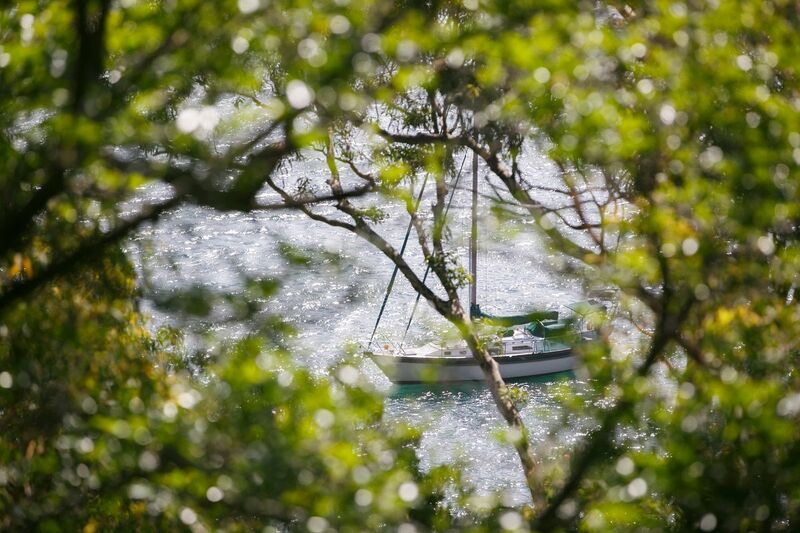 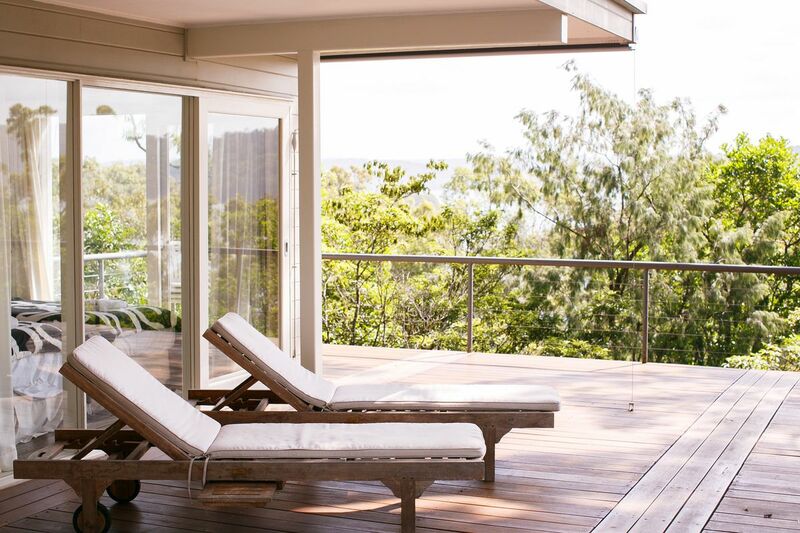 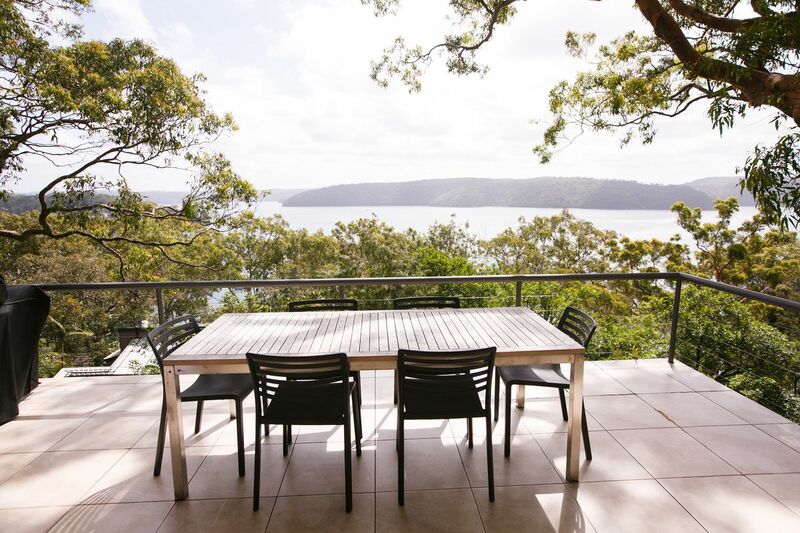 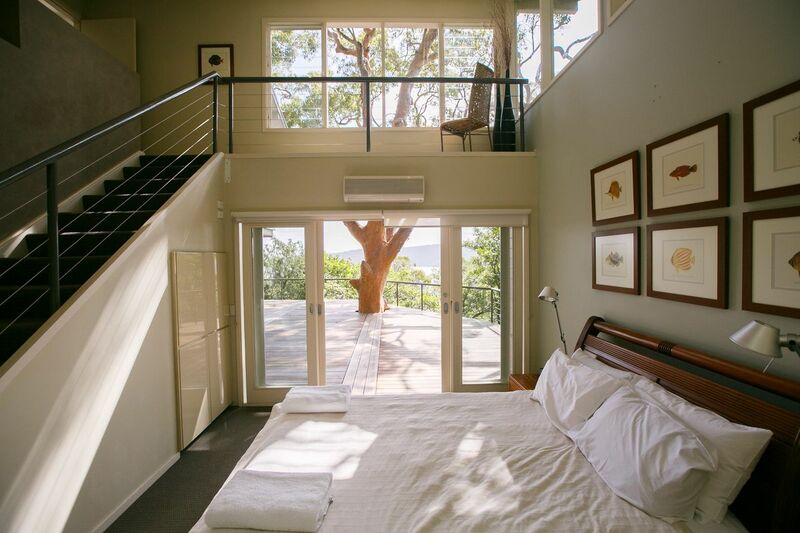 Angophora sits high in the Palm Beach treetops with sweeping views over Pittwater. 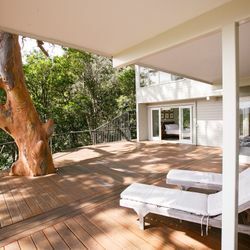 This light filled, airy timber house with massive timber deck offers you the perfect location to sit back, relax and let the world pass you by. 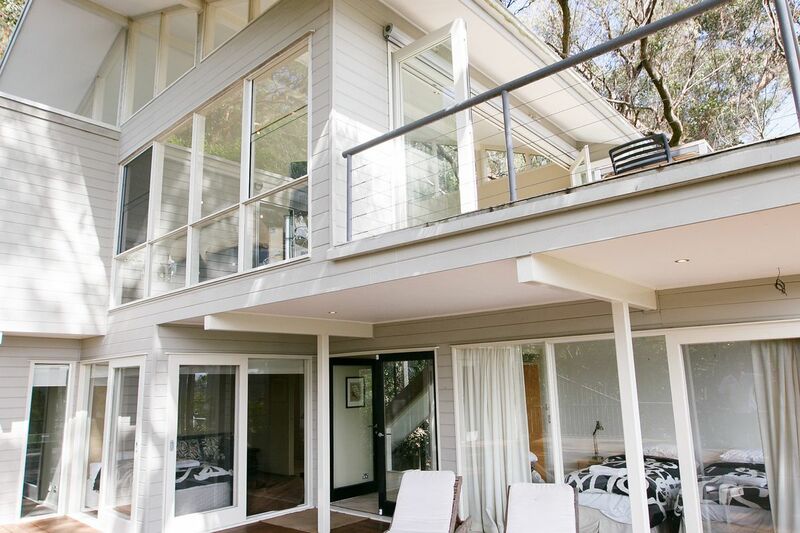 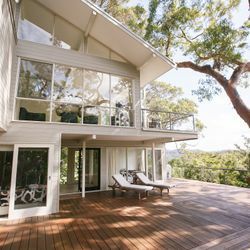 Designed by renowned Queensland architect, Gabrielle Poole, the house sits nestled among the trees of McKay Reserve with the Kookaburras. 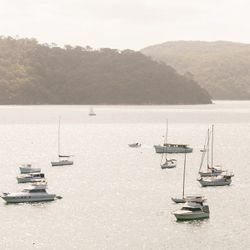 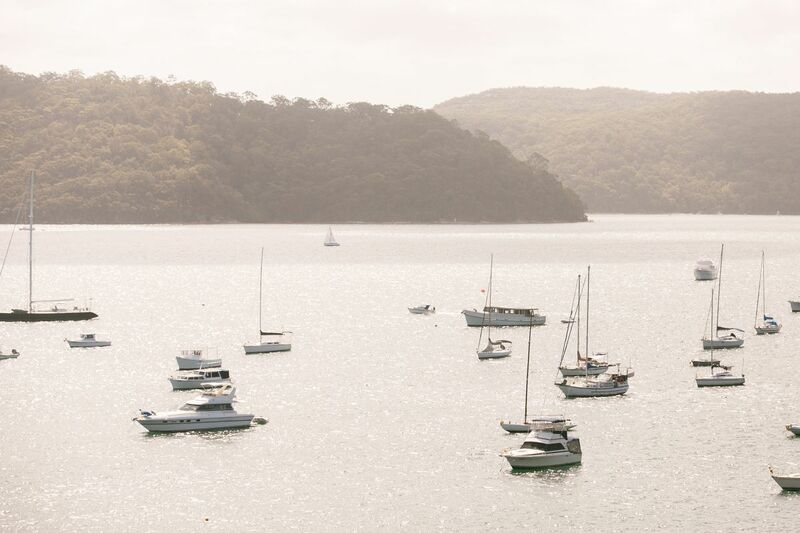 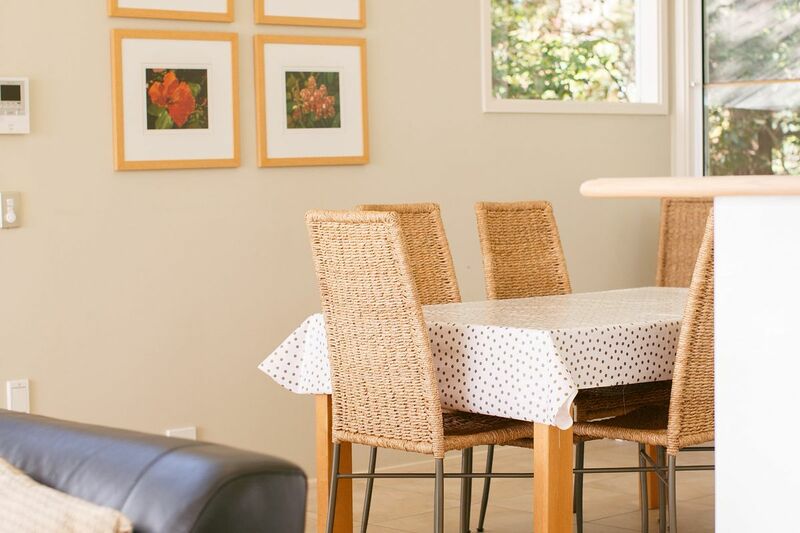 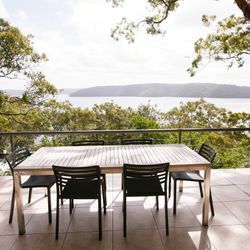 Only one hour from Sydney, but a million miles from worry, Angophora offers you the perfect location to recharge your batteries. 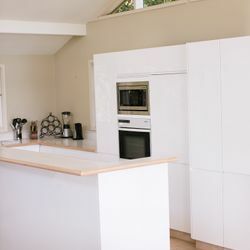 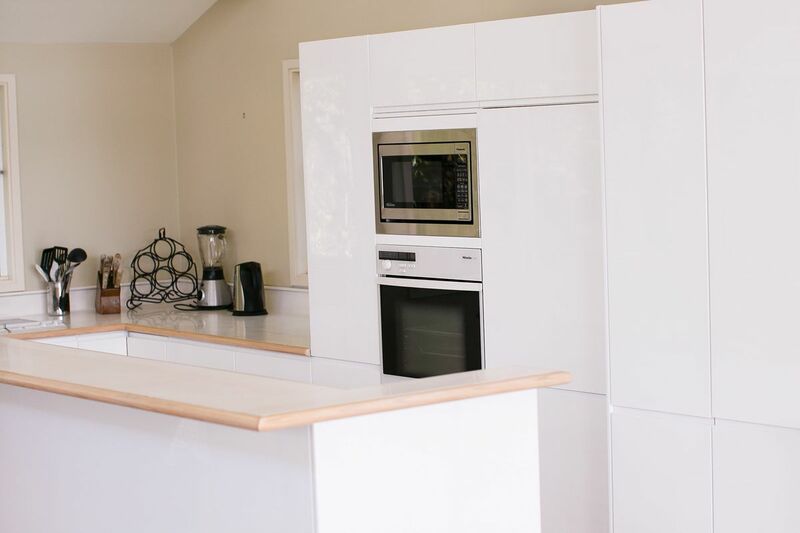 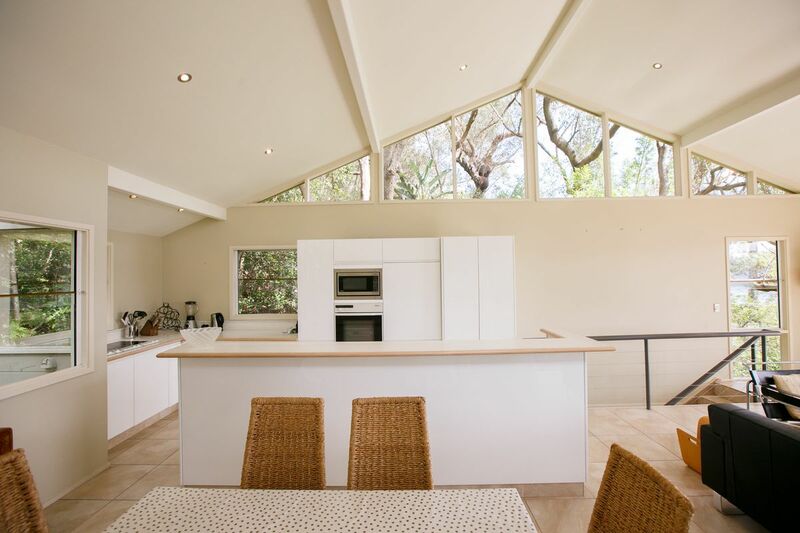 Enjoy a BBQ on the upper deck or prepare a meal in the gourmet kitchen (Miele appliances). 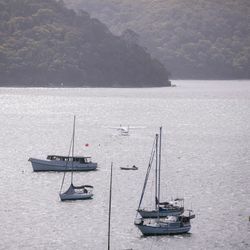 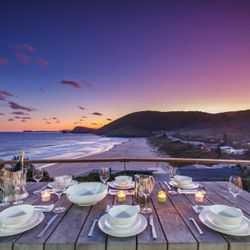 Otherwise, tear yourself away from the view and enjoy a meal in one of the nearby fine restaurants or pleasant cafes of Whale and Palm Beach. 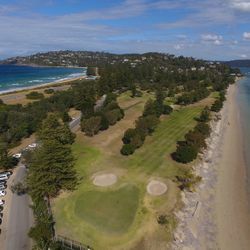 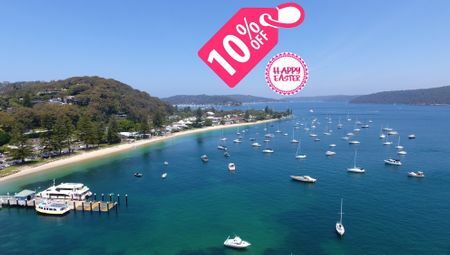 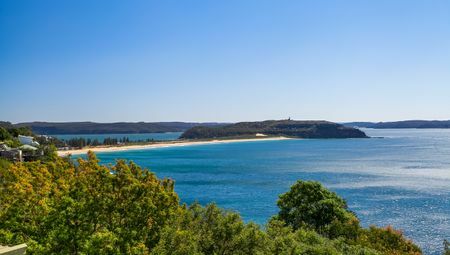 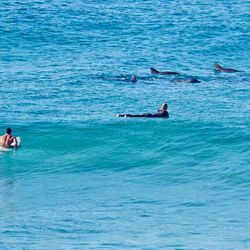 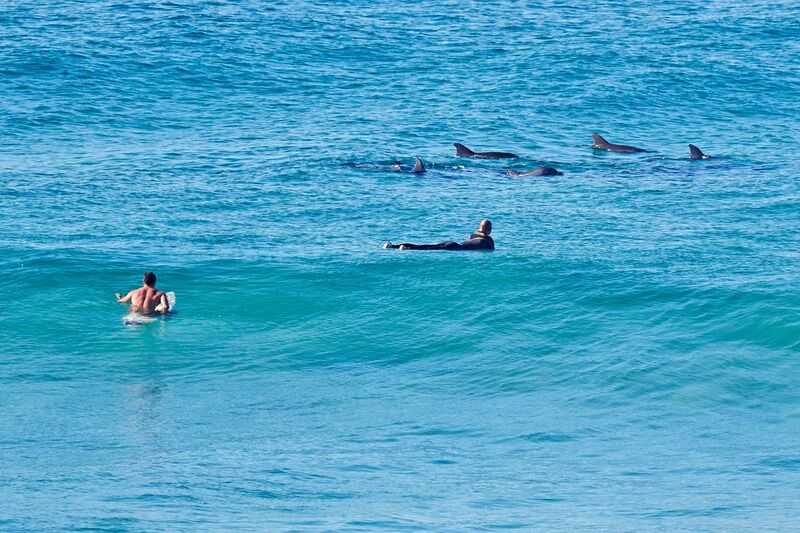 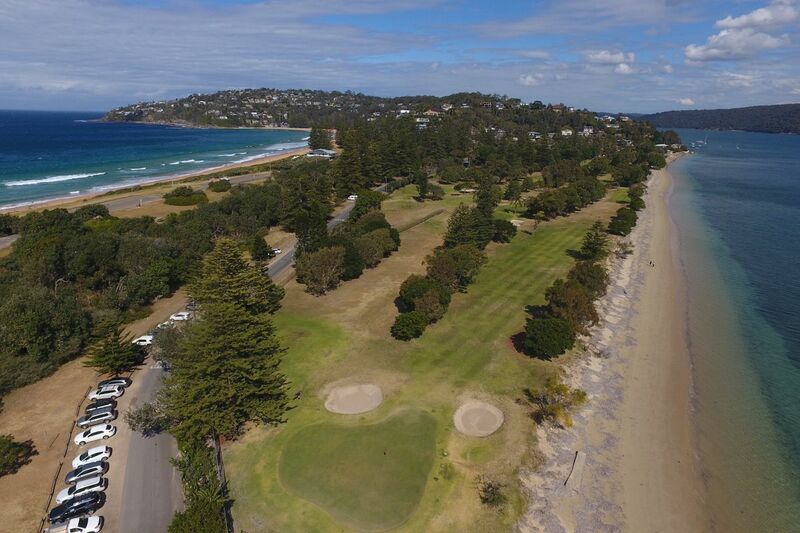 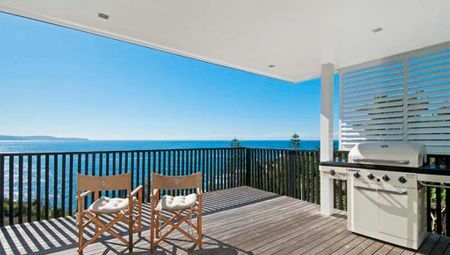 Either beach is a short drive (Whale Beach 1.5km) or simply catch the bus (3 mins Palm Beach). 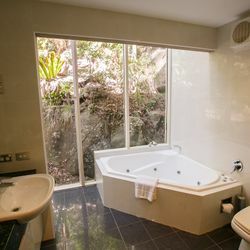 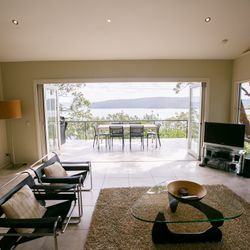 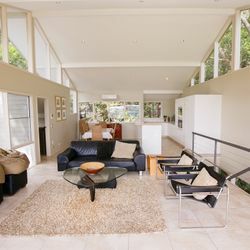 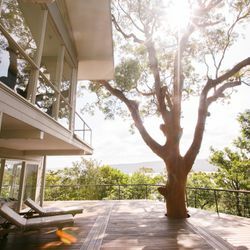 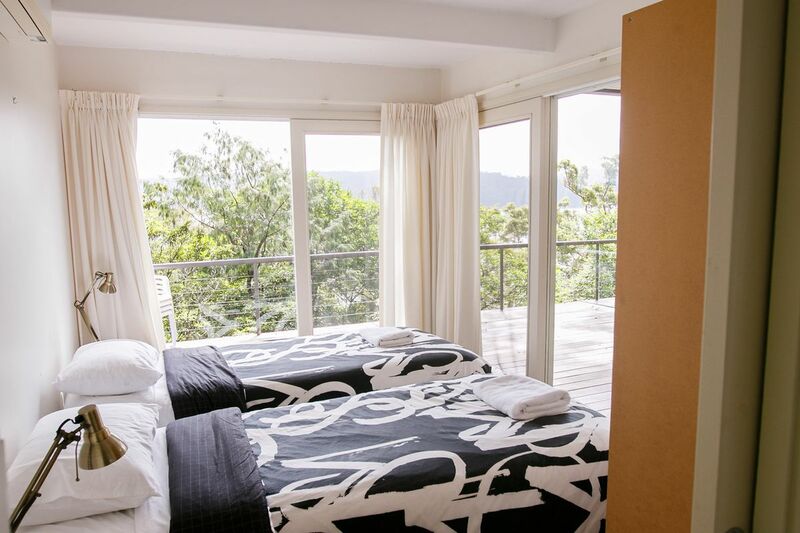 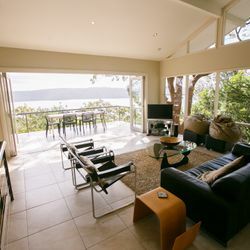 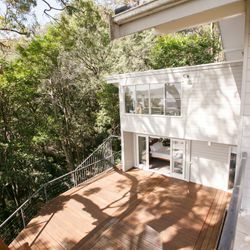 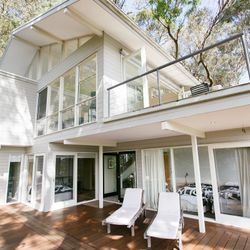 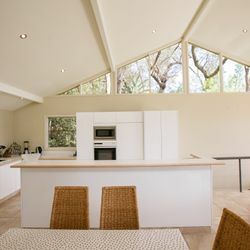 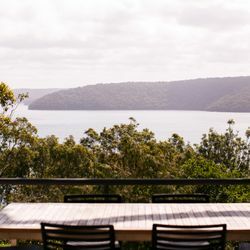 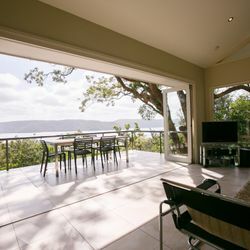 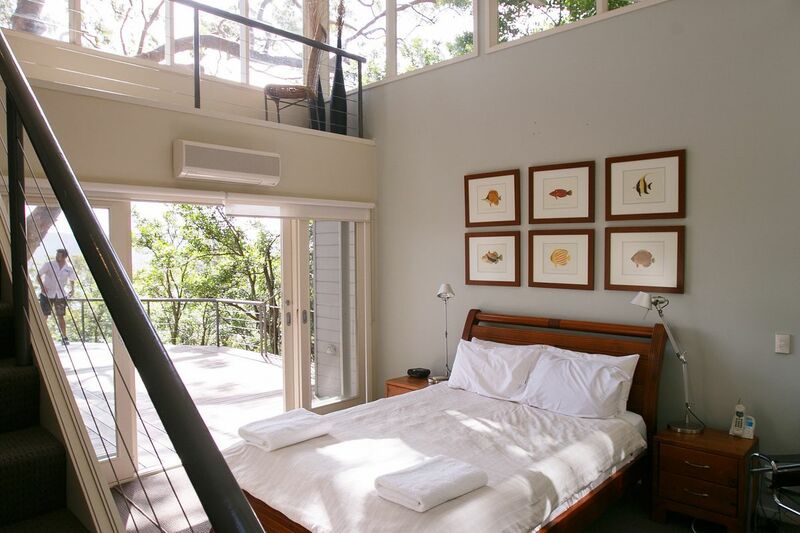 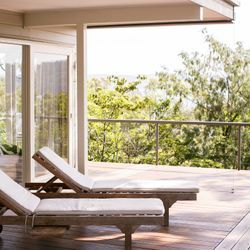 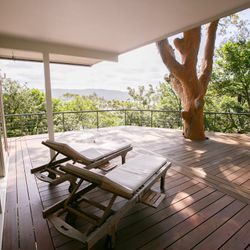 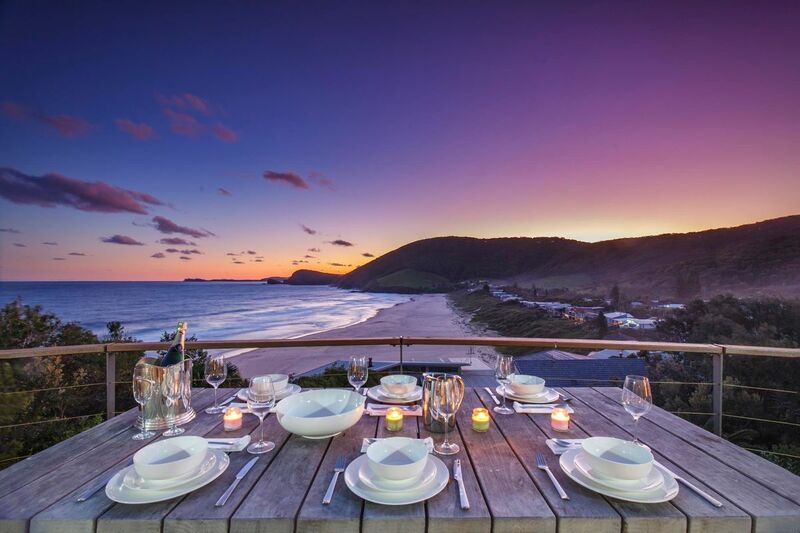 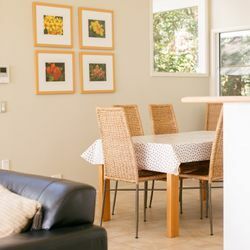 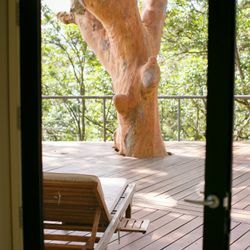 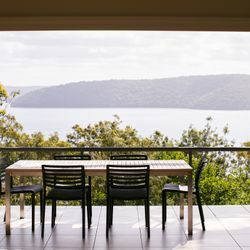 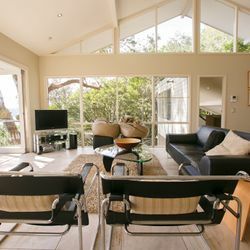 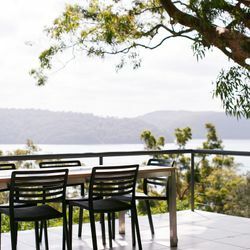 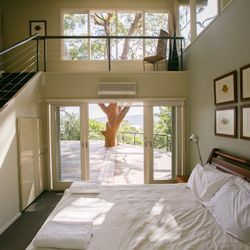 Designed as two separate wings wrapped around a large timber deck, Angophora is ideal as a romantic getaway for one or two couples; or a family with up to three children. 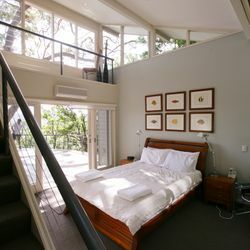 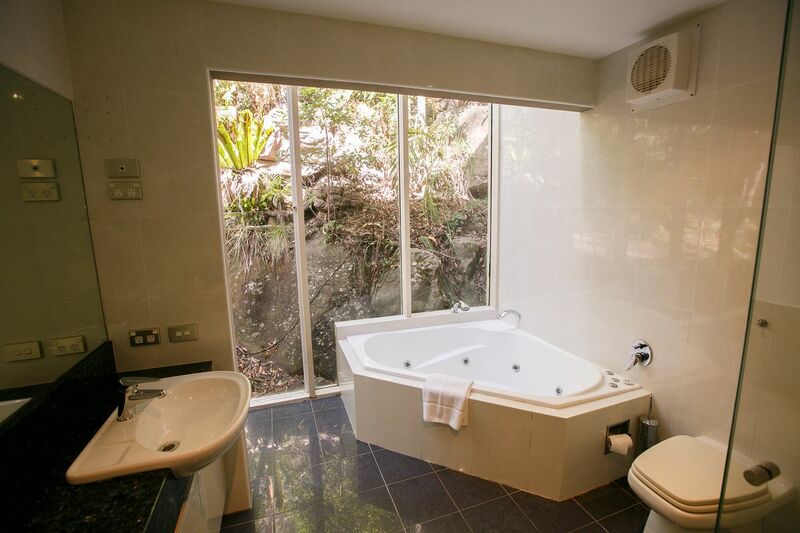 The master bedroom (queen bed), with its soaring ceiling, has its own WIR and ensuite spa bathroom. 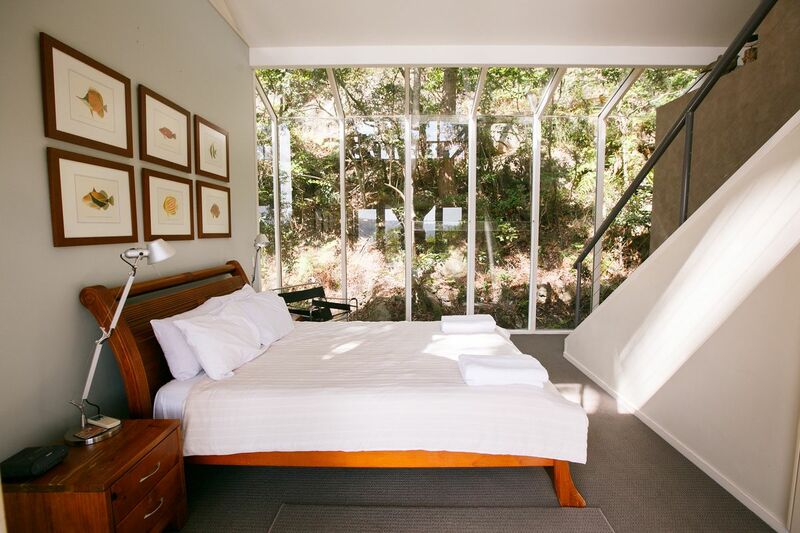 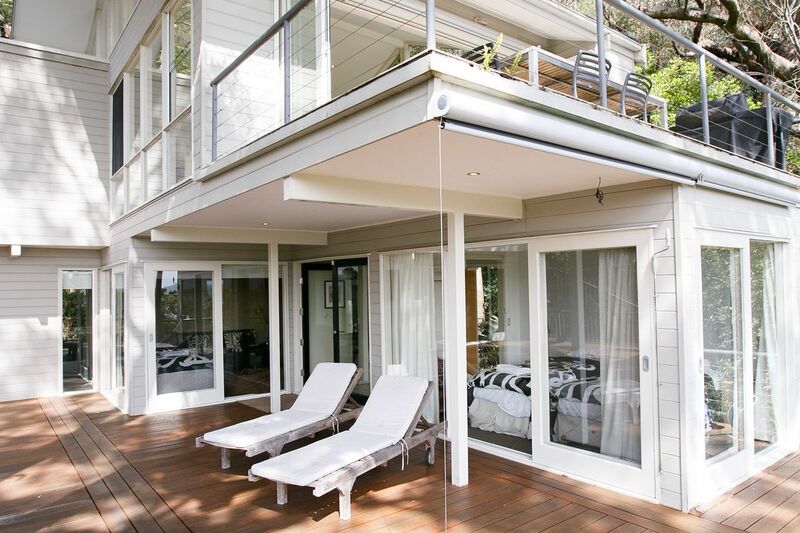 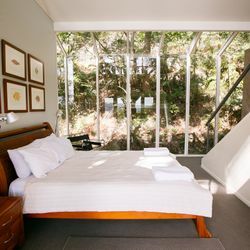 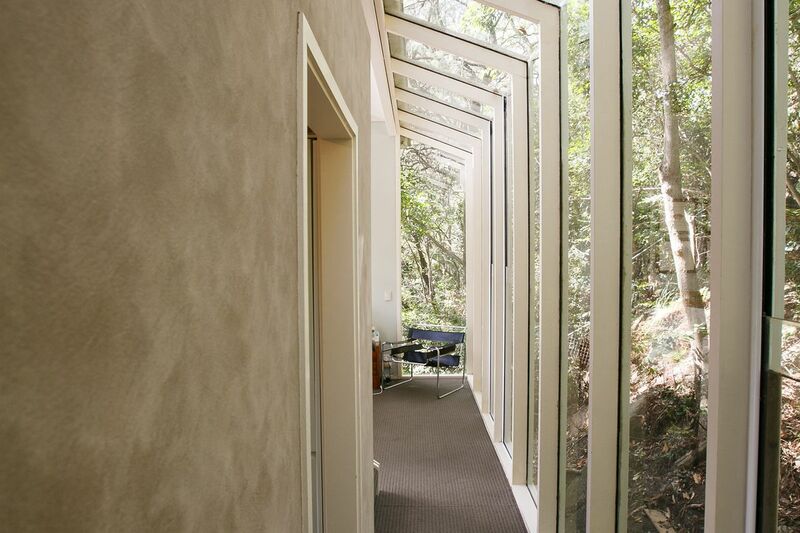 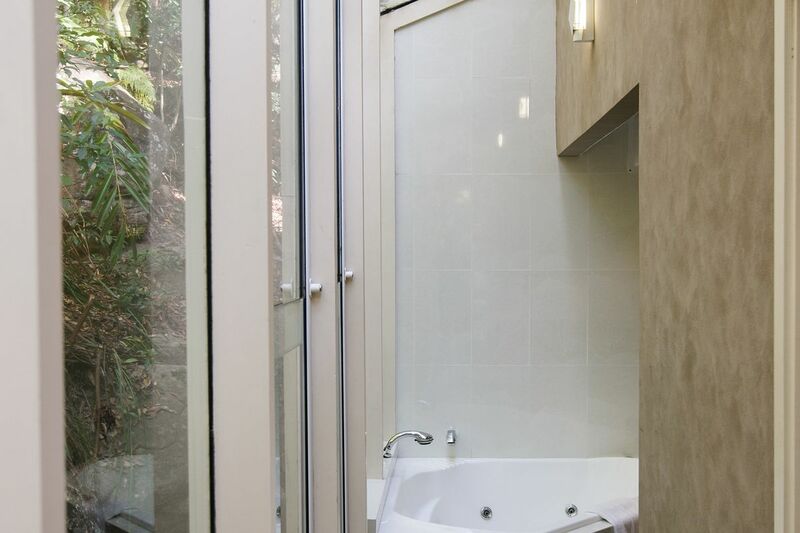 The full length glass wall makes you feel like you are literally sleeping in the bush! 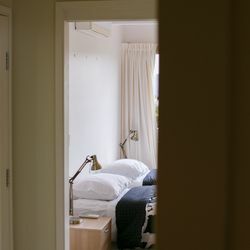 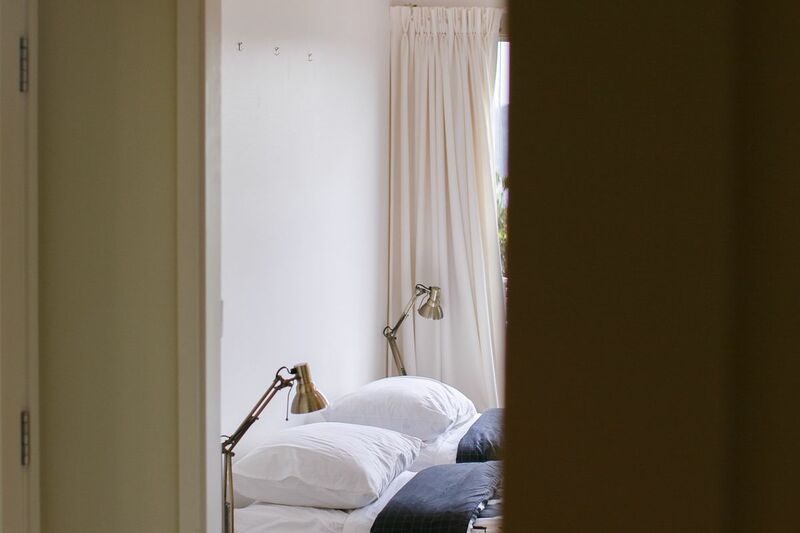 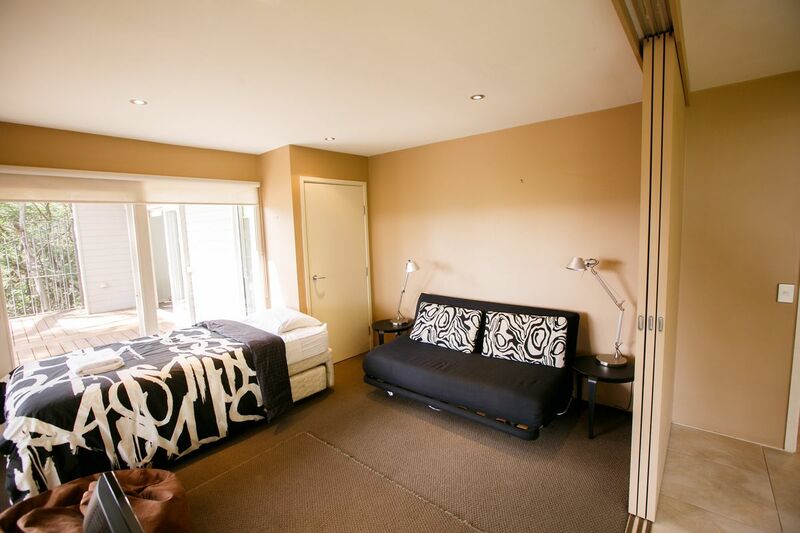 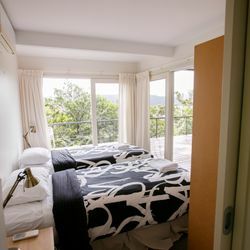 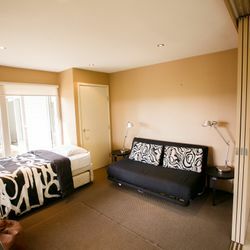 The guest wing has one small bedroom (king single) and a larger open area with two king singles (can be combined to form a king bed). 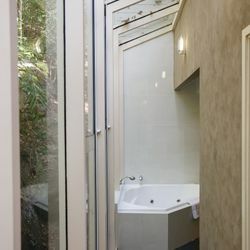 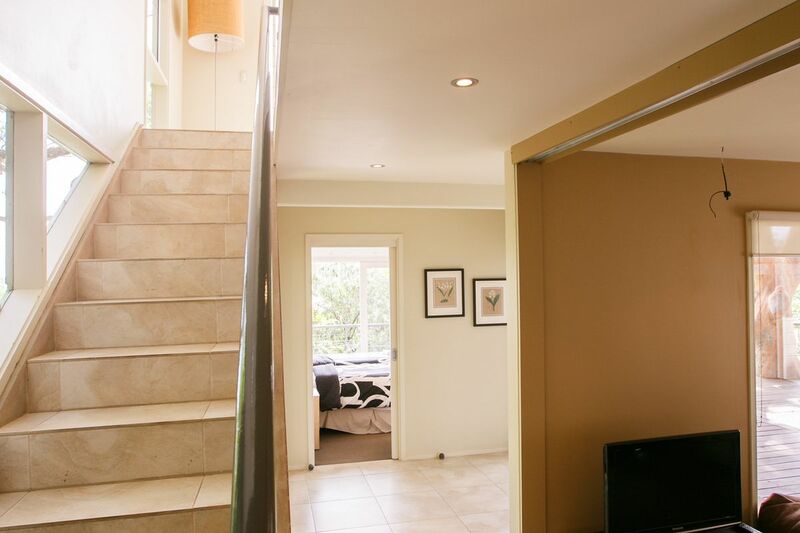 The guest wing is separate from the “flow” of the house and has its own bathroom. 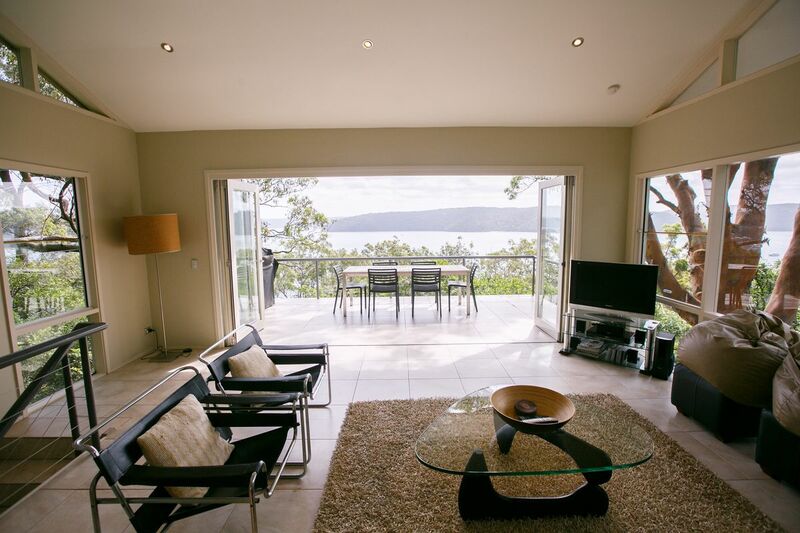 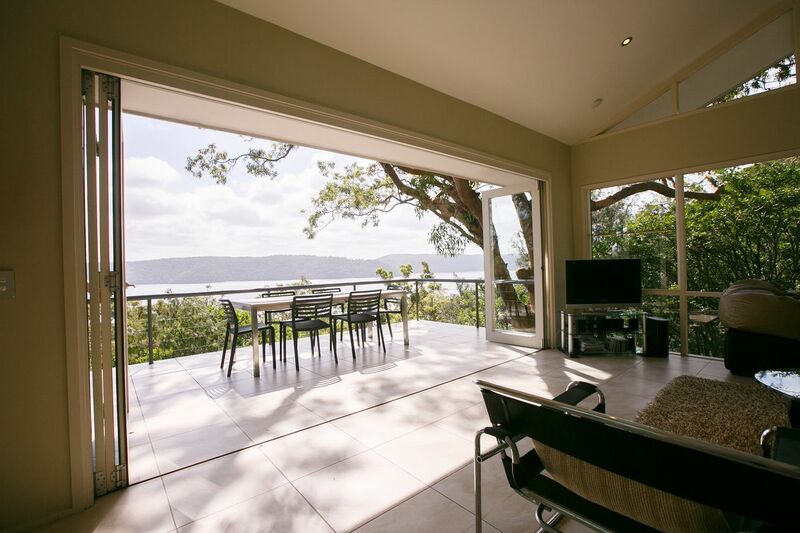 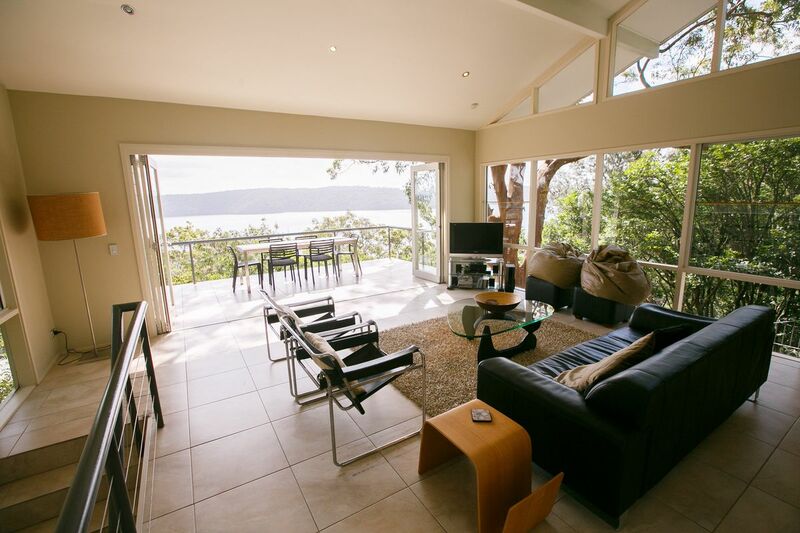 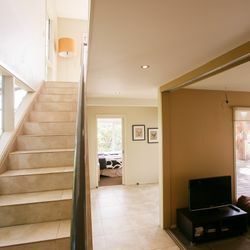 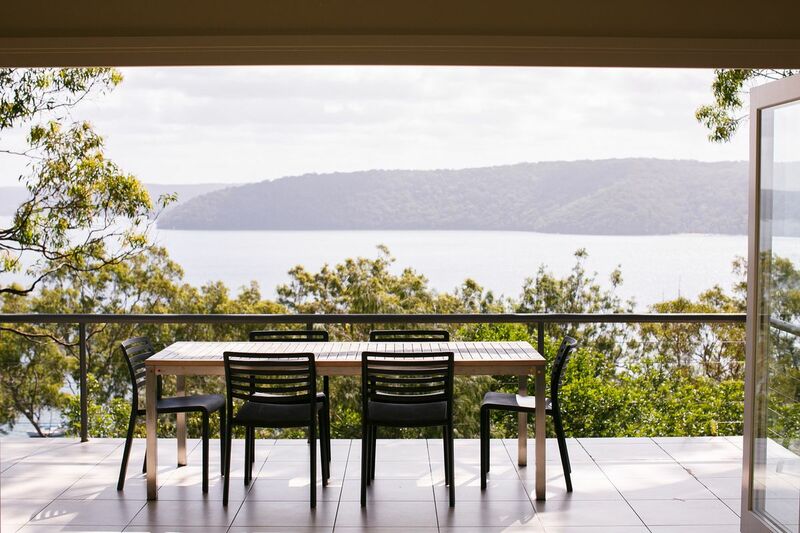 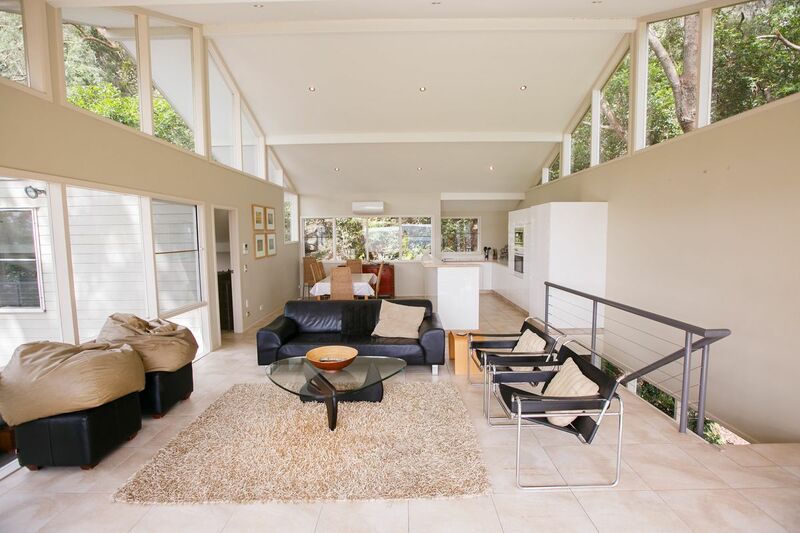 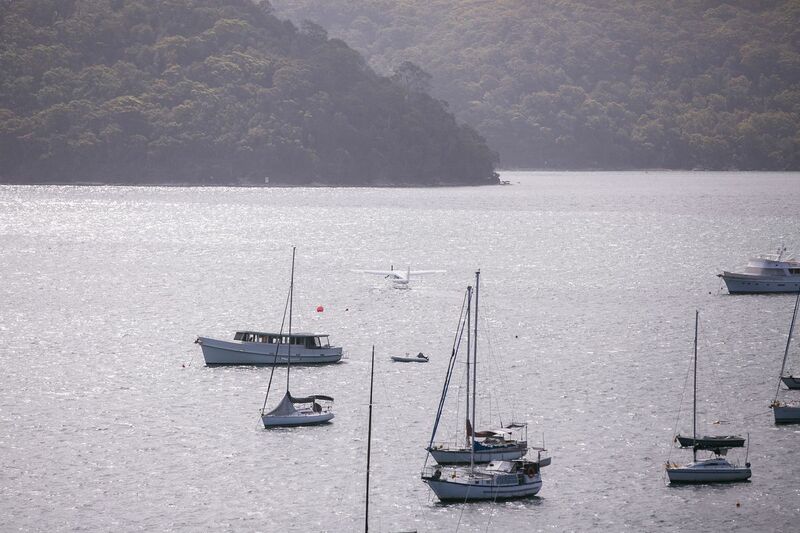 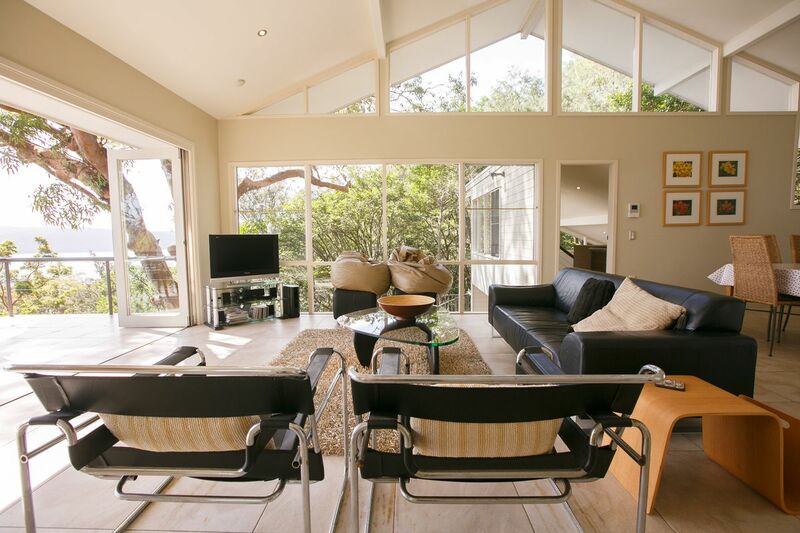 Upstairs the open plan gourmet kitchen, dining and living areas offer spectacular views over Pittwater. 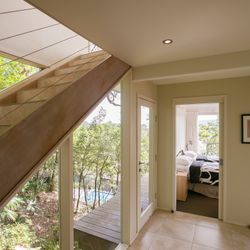 The master bedroom and guest wing open onto a large deck and both have independent access to the upstairs upstairs living area. 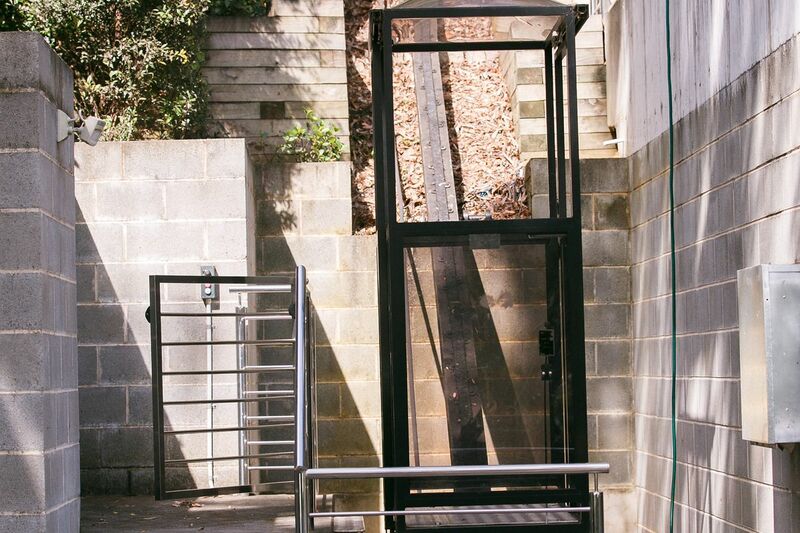 Situated at the end of a long, easily accessible shared driveway, Angophora offers garaged parking for 2 cars. 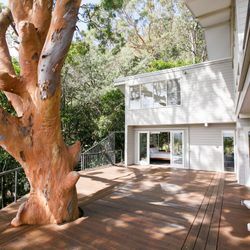 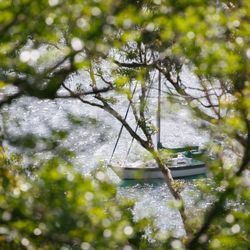 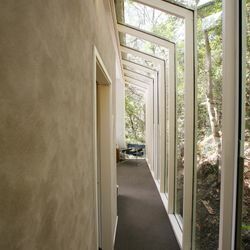 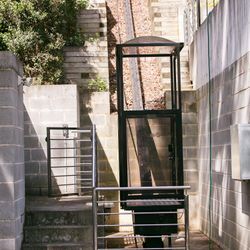 The house, situated at the very top of the site, offers peaceful seclusion and is accessible via an Inclinator for comfort or by timber stairs winding their way up through the trees.